Wiiiiii - £10 billion in sales this year! Although it's not the usual time for financial reports, Nintendo announced over the weekend that it is upgrading its profit forecast on the back of massive predicted Wii sales. The Kyoto firm said that the Wii is likely to sell 42 per cent more in fiscal 2008, which ends on 1 April 2009, than it did the previous year. That amounts to a staggering 26.5 million more consoles. What that amounts to in monetary terms is ¥2 trillion (£10 billion) in sales for the year and ¥410 billion (£2 billion) worth of pure profit. Part of the increase is due to currency fluctuations, but the profit prediction is a 59 per cent year-on-year jump. 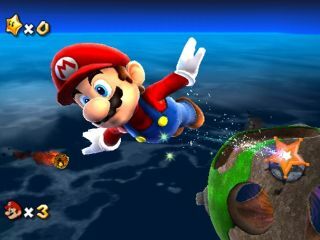 On the software front, Nintendo says it expects to sell 186 million Wii titles and 197 million DS programs worldwide.